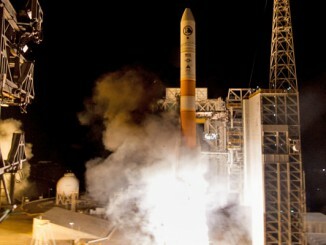 The United Launch Alliance Delta 4 rocket blasts into the predawn skies at Vandenberg Air Force Base with the NROL-45 payload for the U.S. National Reconnaissance Office. 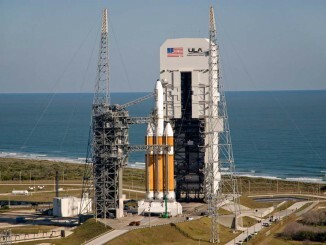 A collection of pad photos from the United Launch Alliance Delta 4 rocket flight to deploy the NROL-45 spy satellite payload for the U.S. National Reconnaissance Office. 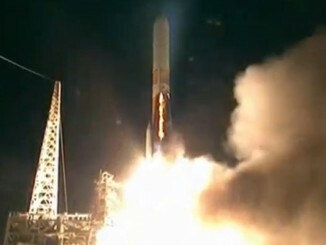 Soaring in fine fashion before daybreak, a United Launch Alliance Delta 4 rocket maneuvered a new spy satellite into a unique retrograde orbit Wednesday morning to join an expanding constellation of radar-imaging spacecraft. 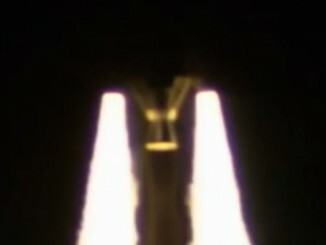 A replay of the United Launch Alliance Delta 4 rocket launching on the NROL-45 satellite-deployment mission for the National Reconnaissance Office from Vandenberg Air Force Base, California. 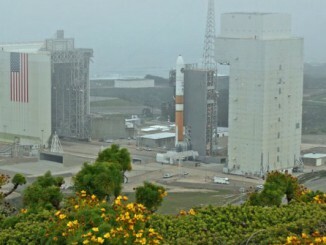 The 32-story-tall mobile service tower is retracted from the Delta 4 rocket at Vandenberg’s Space Launch Complex 6 pad for the NROL-45 flight that will place a surveillance satellite into orbit for the U.S. National Reconnaissance Office. 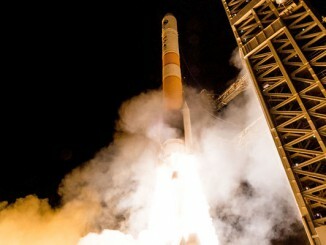 A United Launch Alliance Delta 4 rocket blasted off from Vandenberg Air Force Base in California at 3:40 a.m. local (6:40 a.m. EST; 1140 GMT) today to place a secret payload into space for the National Reconnaissance Office. Follow the mission in our live journal. 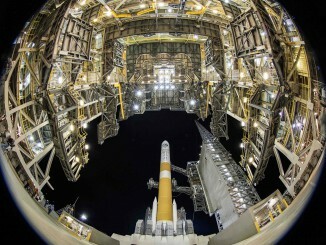 Beginning the National Reconnaissance Office’s campaign of four launches in 2016 using boosters big and small to deploy a varied collection of new intelligence satellites, a Delta 4 rocket stands ready for liftoff before sun-up Wednesday from California. 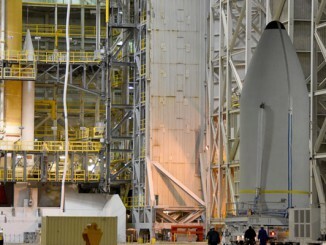 This collection of photographs shows the National Reconnaissance Office’s classified NROL-45 payload, already encapsulated in the Delta 4 nose cone, being moved from the payload processing facility at Space Launch Complex 6 and lifted atop the United Launch Alliance rocket for flight from Vandenberg. 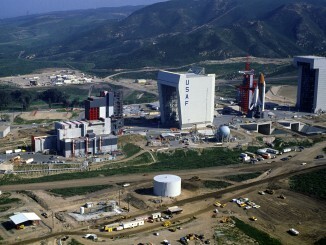 It was 1986 and the U.S. Air Force was on the cusp of something unprecedented in human spaceflight — launching a space shuttle crew from California and paving the way for people to fly true polar missions. 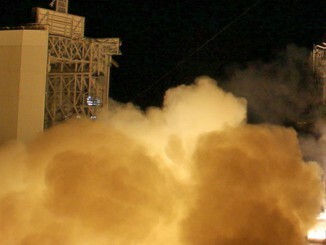 Some of America’s most critical surveillance satellites, final members of other spacecraft series and a probe that will touch an asteroid are among 15 rocket flights planned by United Launch Alliance in 2016.